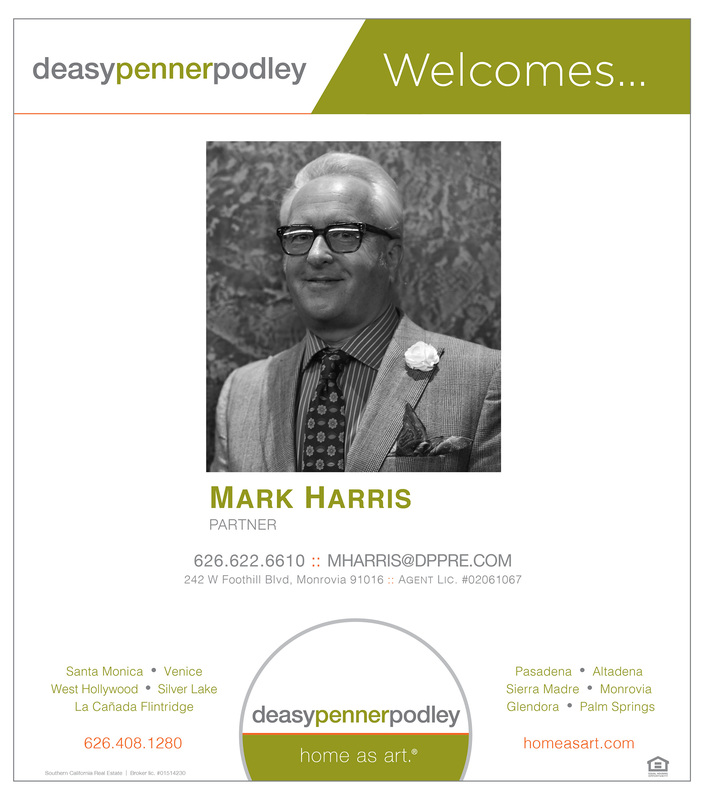 deasypennerpodley is excited to announce Mark Harris as a new agent to our Sierra Madre family. Mark Harris is a true Los Angeles native, born and raised here in the Golden State. He brings a diverse background with him, including over twenty years of experience in the mortgage banking industry covering origination, loan sales, customer service and management. Following the mortgage industry, Mark and his twin brother, Matthew, started their own boutique public relations/brand integration agency. This allowed him to use his customer service and management skills at a whole new level by interacting with the entertainment industry, which evolved into a brief stint on reality television. He is always trying to expand his horizon and is willing to try something new, which is why he made a brief run for political office two years ago. Mark is a hard-working, trustworthy individual who loves meeting and helping people, and prides himself on his great customer service skills and can-do mentality. Mark has lived in Monrovia for the last 17 years with his wife of 24 years, Stacy. Together they have a 22-year-old son, Blake, attending Arizona State University and majoring in sports journalism. When he can get it, Mark loves spending his downtime traveling, enjoying his membership with the Toluca Lake Tennis Club and discovering new restaurants.